Hi I’m Charlotte …… together with my husband Rich we own Dolphin Swimming Academy. I’ve always loved swimming and have fond memories of the fun I had learning to swim as a child. I’ve never forgotten Ellen, my swimming teacher who has been a real inspiration to me. 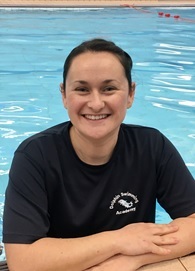 I am a fully qualified ASA level 2 swimming teacher, lifeguard and parent & toddler swimming teacher and love working with the children and seeing them progress week after week – I can honestly say I have the best job in the world! As a family we love going swimming together and just like me, our little girl is a real water baby. When we aren’t having fun in the pool we are on the ice enjoying our ice skating lessons – another sport we enjoy as a family. I’m always available to help in any way I can and my aim is to make your child’s swimming journey to be as fun and rewarding as possible. Hi I’m Richard …… together with my wife Charlotte we own Dolphin Swimming Academy. I have always loved sport and feel so lucky to have a career working in something I am so passionate about. I am a fully qualified ASA level 2 swimming teacher and lifeguard and my background is in Health & Safety & Auditing. I am a big kid at heart and enjoy the interaction with the children whether I am in the pool teaching or pool managing. It is really important to me to make everyone feel welcome, especially the children, as it can be quite scary starting swimming lessons and our aim is for children to learn and gain confidence whilst having fun! I love spending time with my family which is one of the reasons we set up Dolphin Swimming Academy. 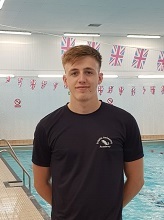 Hi I’m Charlie …… I am fully Qualified in Teaching all aspects of swimming, with ten years’ experience and I love it so much I wouldn’t want to do anything else! A passion of mine is also working with and teaching children with special needs. 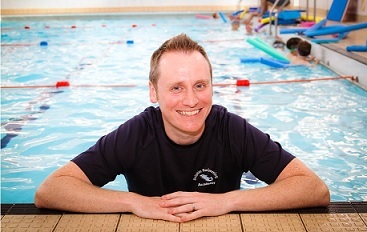 My experience includes being the Swim Development Officer at the Serennu Children’s Centre in Newport as well as teaching swimming lessons there also. Hi I’m Danielle …… Swimming is a huge part of my life, and has been from the very start. I loved my “learn to swim” lessons so much that upon completion I joined a competitive club straight away! From there my love for the sport just grew and I continued to compete for 16 years, with having the honour to represent Wales at two Commonwealth Games during my career. I absolutely love working with children and am currently training to be a primary school teacher. I am an ASA Level 2 swimming instructor and having the opportunity to join my two passions together to teach swimming is an absolute pleasure. It’s the best feeling ever seeing a child progress week by week and enjoying the sport that I fell in love with. 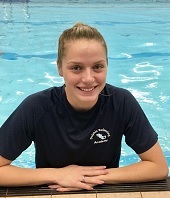 Hi Im Elle …….. Ive had lots of swimming experience including swimming for Bridgend County and Neath Swim Squad and achieving up to performance level. During my time in the squads ive competed in numerous competitions and gained many medals – Bronze, Silver & Gold. Last year I passed ASA Level 1 Teaching Aquatics and Lifeguarding courses and am aiming for Level 2 Swimming Teachers qualification in the near future. I have always loved swimming which is why im always eager to help and support others to achieve the goals they want whilst making sure it’s an enjoyable experience for all. 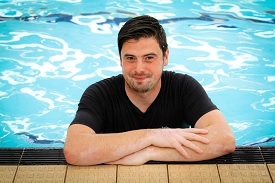 Hi I’m Gareth …… I am a fully qualified ASA level 2 swimming teacher and Lifeguard. I never, ever thought I’d find a job that I’d enjoy so much as being a swimming teacher, I love seeing the children improving and enjoying their lessons! On a personal note I love all sports and in my spare time I coach my sons football team AFC Whitchurch. 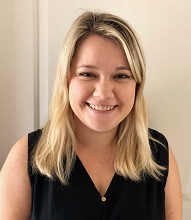 Hi I’m Hannah …… I qualified as a swimming instructor 14 years ago and I have recently returned to teaching after having a break to have my children. Now as a mum myself I see learning to swim as being an even more important life skill and am now more passionate than ever about the job I do and the responsibility that comes along with it. I feel so proud to see the pupils improving and progressing onto the next levels. In my spare time I love spending time with my family and I have enrolled on a course to learn how to sew, which I thoroughly enjoy. 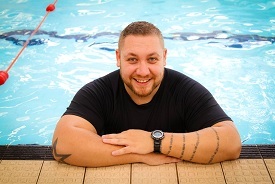 Hi I’m Gareth …… I qualified as a swimming teacher last year and have previously worked as a lifeguard, both here in the UK and at a summer camp in the US. I have been swimming all my life and spent a number of years with the Heads of the Valleys swimming club. I have plenty of experience working with children from years of ski instruction and leading activities at summer camp. I see the opportunity to teach with Dolphin Swimming as another chance to do what I enjoy and impact the lives of children in a positive way! In my spare time I’m usually at the gym, reading, or out watching football with my friends! Hi, I’m Lewys John…… I am qualified NPLQ lifeguard. I qualified in October 2017 and have been working as a lifeguard since then. I am a full time student studying Sport at Cardiff and Vale College. I was introduced into competitive swimming at an early age and still swim with RCT Performance Swim Squad. In addition, I am a Junior Welsh Triathlete currently competing in the British super series. This means I race against Welsh, English and Scottish athletes and sometimes people from abroad. Besides triathlon my other hobbies are watching Cardiff City play football at home and away games as I’m a season ticket holder. 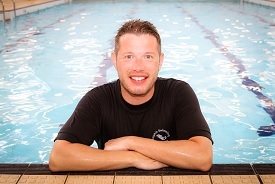 Hi my name is Matt …… I’m a level 2 STA qualified teacher and a lifeguard. I really enjoy the interaction with beginners and helping them start their swimming journey. I try to make my lessons as much fun as possible and create a happy swimming environment. I love being able to help new swimmers enjoy the water and build their confidence and lead them into independent swimming. I am a fluent Welsh speaker and enjoy teaching the children using both the Welsh and English language. Hi, I’m Megan… I am a level 2 STA award swim teacher and I believe it’s the best qualification I have got! I absolutely love teaching kids to swim; it’s such an important thing for all children to learn and I love that I get to be a part of it. This is why I try my hardest to make learning to swim as enjoyable as I possibly can as I would love for the children to have fond memories of their time learning to swim. You may also find me on poolside too as I’m a qualified NPLQ lifeguard too. I am currently studying at the University of South Wales where I am training to become a chiropractor. In my spare time, when I’m not studying, you will often find me out on my stand up paddle-board or out on the hockey pitch. Hi I’m Rich Brady…. I am an ASA Level 2 qualified swimming teacher and I love helping young swimmers to improve their technique. I am a qualified British Triathlon Level 3 triathlon coach and have coached all levels of athlete from the complete novice to Olympian. I run Tri-Monkeys, training athletes at all levels from beginners to medal winning athletes. I have been competing in triathlons since 1991 and has been fortunate to race across the globe in various events from super sprint to Ironman. My goal is to get the very best out of every one I work with and to help them enjoy their swimming journey. 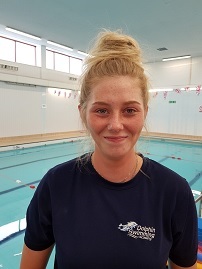 Hi I’m Shannon …… I’ve always enjoyed participating in a variety of sports but I loved to swim from a young age as my swimming instructor had a massive impact on my enjoyment of swimming. She made every lesson fun and this is why I’ve become a fully qualified ASA Level 2 swimming instructor to give the same experience to others using both the English and Welsh language. There is nothing better than seeing the children enjoying their lessons while improving every week. In my spare time I love going running with my dog Ozzy and spending time with my family and friends. 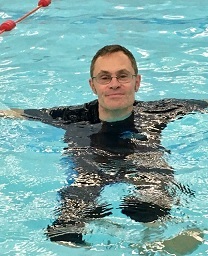 Hi I’m Rich …… I have been a volunteer at the ‘Sparkle Appeal’ in Newport helping to teach children with various disabilities to swim for the last 3.5 years. 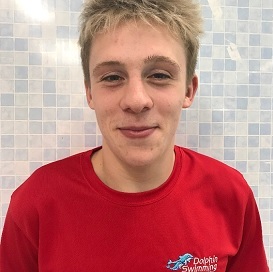 I have been providing swimming teaching and lifeguard cover for Dolphin Swimming Academy for the last year but we are delighted to say he is now on the team full time. 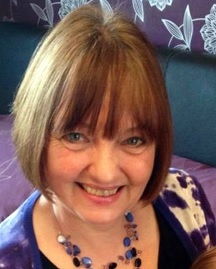 I have experience in teaching small groups and on a 1-2-1 basis, I also teach at the Celtic Manor, Newport. I love seeing swimmers gain confidence and making improvements no matter how big or small. 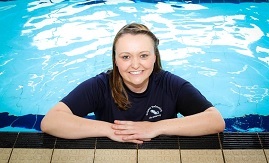 Hi I’m Zoe………… I am a qualified ASA Level 2 Swimming Instructor and I have been teaching for 6 years. Swimming has been a big part of my life growing up as a junior I swam for a club at county level, when I was 15 I began volunteering assisting coaching with my swimming club. My favourite stroke is Butterfly. Whilst being a teacher I have experience teaching all ages and abilities, from beginners aged 3 to 60s. In Summer 2016 I had the opportunity to teach open water swim lessons for Swim Wales/RNLI in a new initiative in Wales called ‘Swim Safe’ at Barry Island teaching children aged 8-14 safety in the sea. Swimming is still a part of my life at Cardiff Met University I swam for the team in the British University and College Swimming Championships in Sheffield 2013-2014. In 2014-2015 I played Water Polo fixtures for the university girls team. Since then I train and compete in Triathlon for the university. Hi I’m Cindy …… I’m Charlotte’s mum. After 20 years of working in schools in a variety of roles I recently trained as a level 1 swimming teacher and lifeguard and you will see me at the pool from time to time when I’m helping out. I am constantly amazed by the progress the children make, I have seen one little girl go from being absolutely terrified of the water to swimming completely unaided in just a short time, the smile on her face was priceless! I didn’t learn to swim until I was an adult and looking back I feel I missed out on so much fun as a child, but once I started there was no stopping me – I got the bug and now swim at least 3 times a week. In my spare time I enjoy fundraising for charity and doing agility classes with my rescue dog. I love spending time with my granddaughter; swimming, cooking, sewing, and learning the Welsh Language together! Hi I’m Jay…… Swimming has been a passion of mine for as long as I can remember. It was my competitive swimming background that sparked an interest in life guarding and teaching younger children to swim. I thoroughly enjoy helping the children improve on their swimming and I strive to make my lessons as exciting as possible to ensure the children have fun also! Swimming aside, I spend my spare time watching football, going to the gym and I’m always in Nando’s! I’m Isabelle / Izzy…… I have always loved swimming since I can remember; I completed all off my swimming levels by the age of 8 and went on to competitive swimming. Although I don’t swim as much as I’d like too anymore, there is no feeling better than getting into a pool and being in your own world for that hour! I was so pleased when I was able to turn my passion into something much more! I have been teaching for about 3 years now and I absolutely love it. Not only is it a fun job but it’s so rewarding seeing your children progress week by week. It’s amazing to be able to make a lifesaving skill into something fun and enjoyable! This is my second job and by far my favourite! When I’m not working or in the pool I love going to the gym and socializing with friends! Hi, I’m Cherry…… and I help out with the admin work at Dolphin Swim Academy. I learned to swim from a young age and understand not just the importance but the fantastic fun that swimming provides, especially when my family and I go on holidays. One of my children is learning to swim with Dolphin Swim academy so I know the lessons are great from a parents point of view and when my youngest child is ready to learn I know where to send them. As a family we enjoy watching and playing football, walks to the park and of course swimming. You can even catch us enjoying train rides and riding scooters!